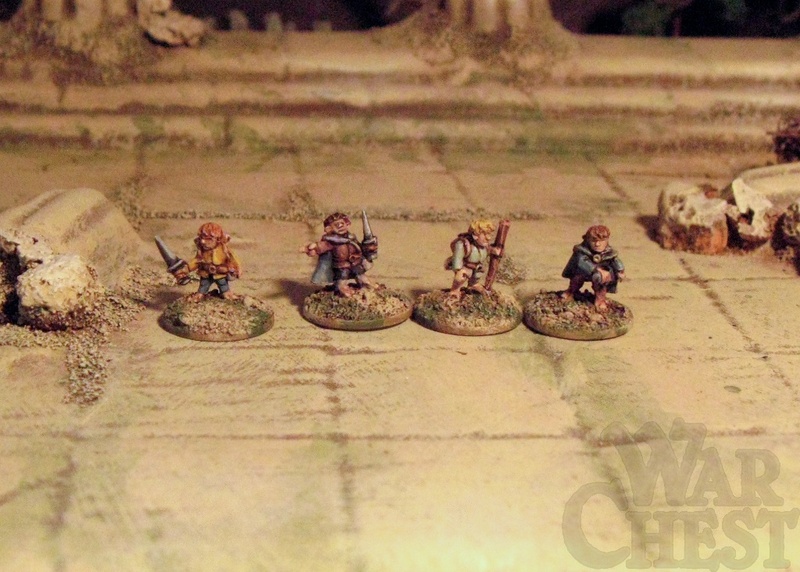 Now, you’d think 10mm Hobbits next to other scales would be ridiculous. Hobbits are already tiny. Well, perspective is all in the eye of the beholder. 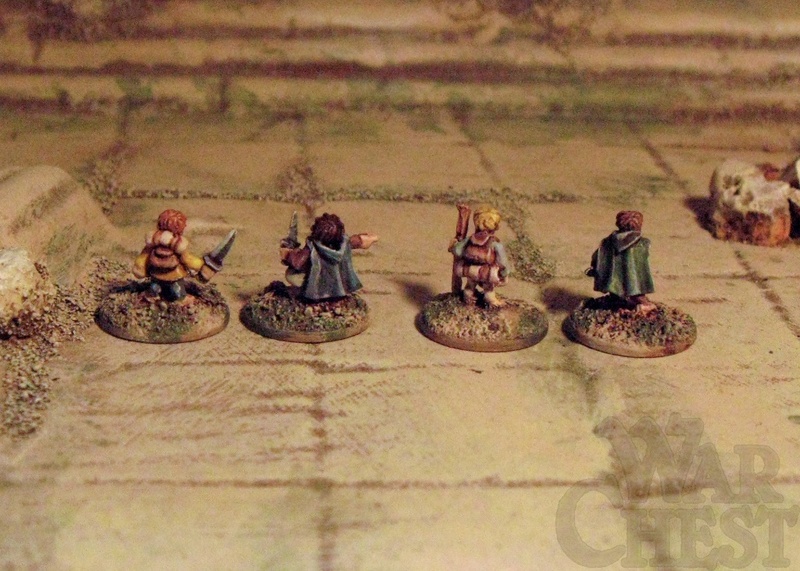 Here they are mixed in with some 15mm Hobbits. TTG if memory serves. Not far off! 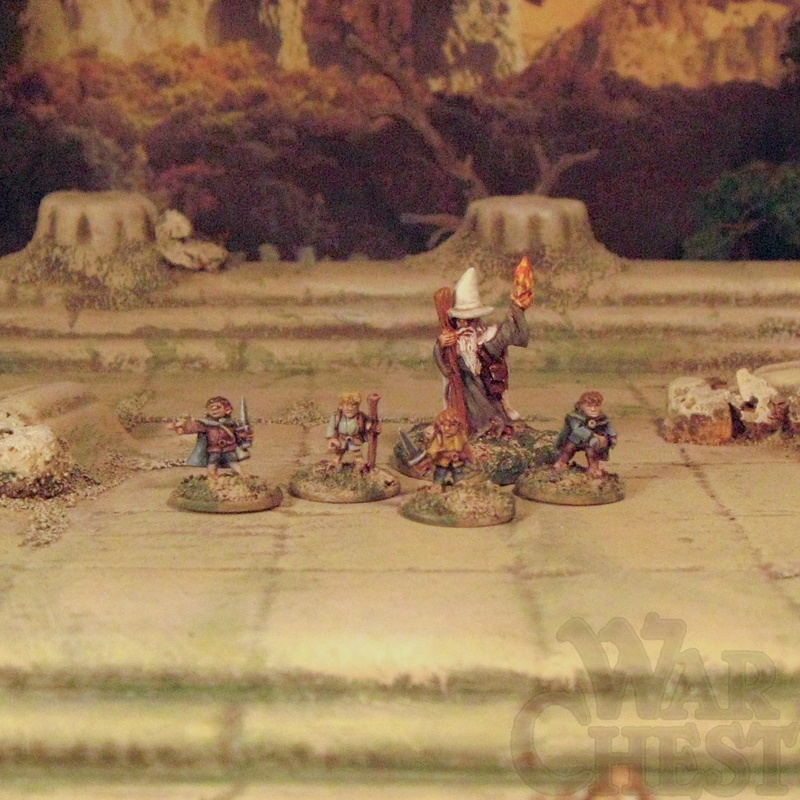 Next to a 15mm ‘Gandalf’ wizard. Looks fine to me! Next to a couple of Splintered Light warrior types. 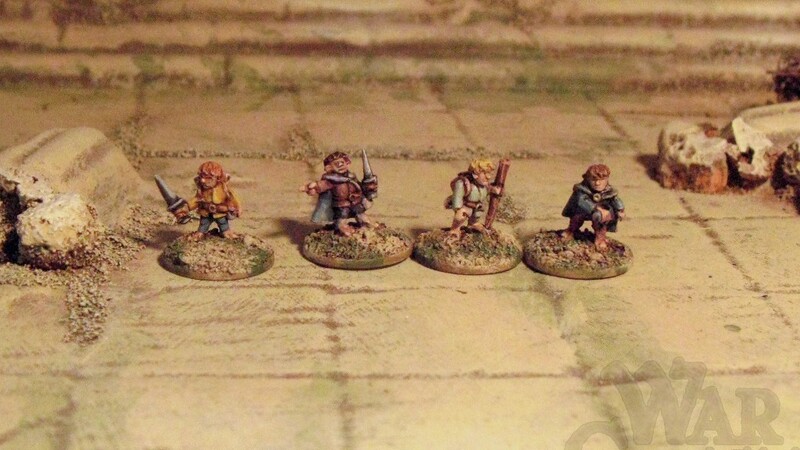 Admittedly these SLM minis are ‘true’ 15mm and slightly smaller than many other bloated 15s currently available. Still looking good. 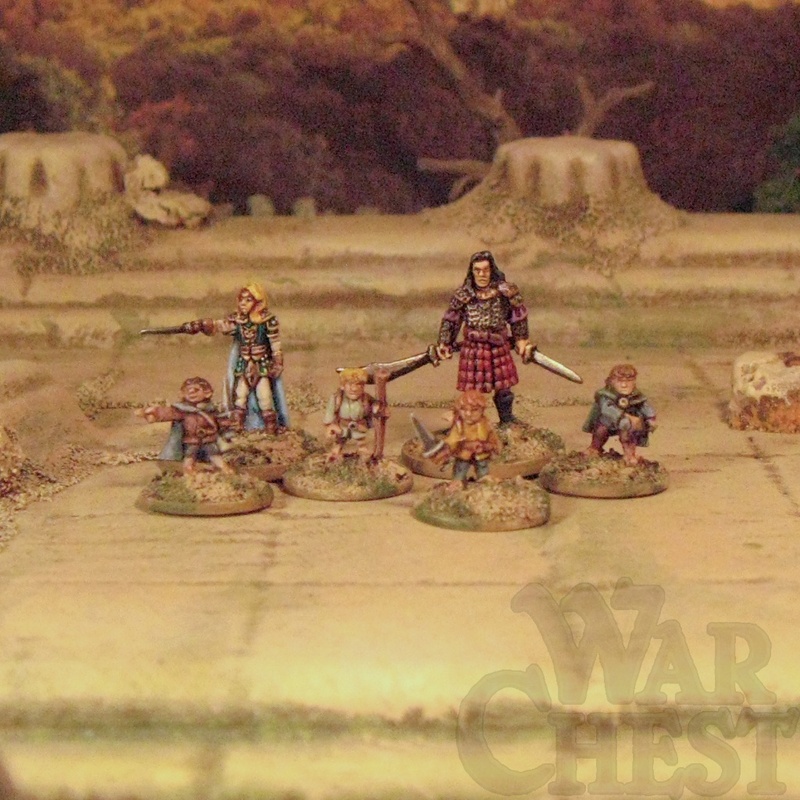 Next to a couple of 20mm Woodland Warriors (Bob Olley, Splintered Light Miniatures). 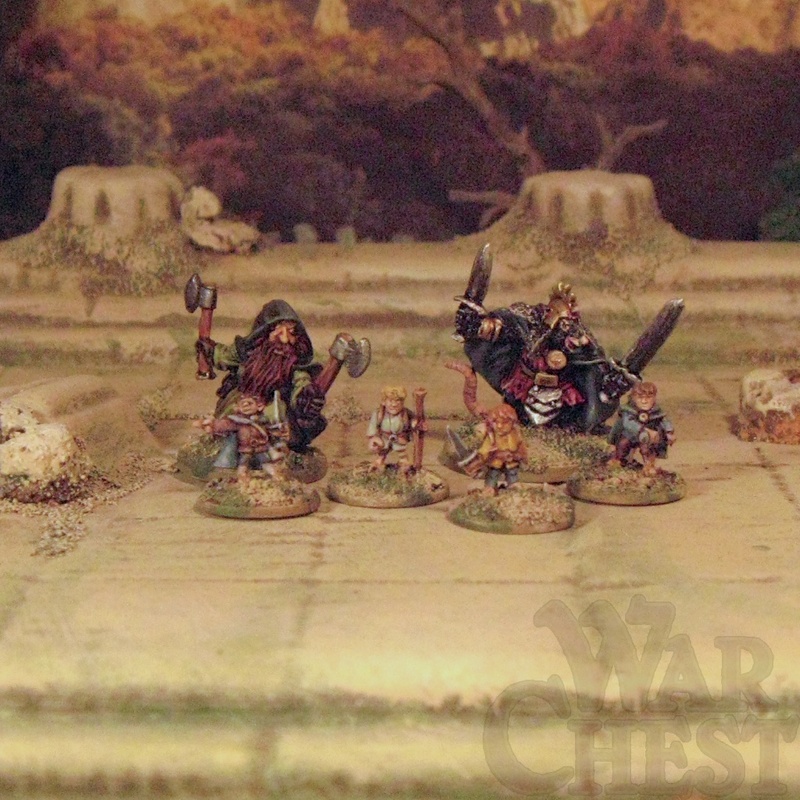 Fine for the ‘Big’ rat but I admit, the dwarf is looking pretty large if Peter Jackson’s LOTRs is our scale reference. 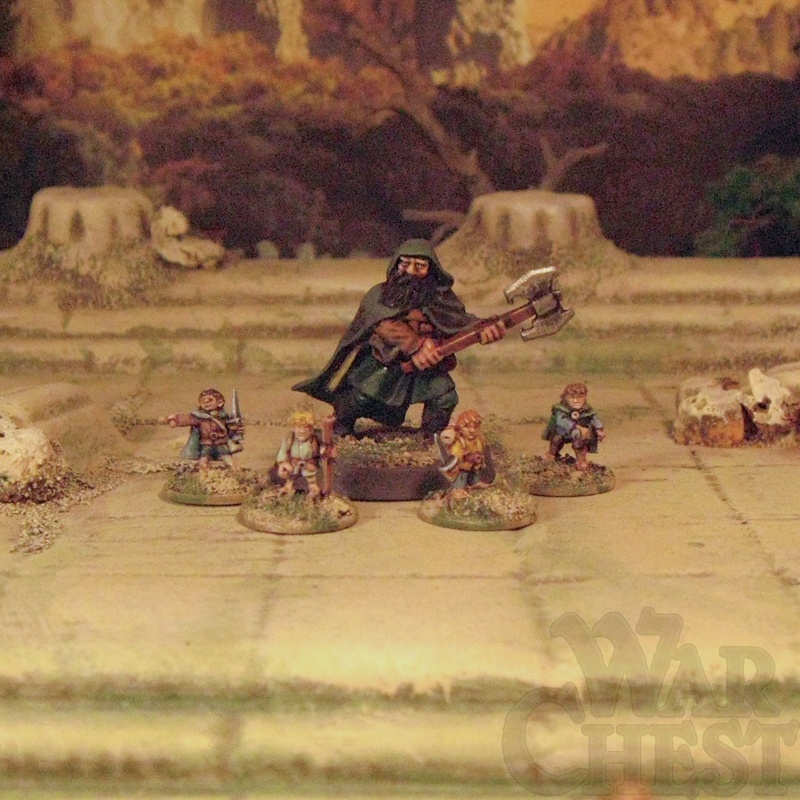 A ‘true’ 25mm LOTR GW dwarf. Okay, even I admit it. He’s a giant. 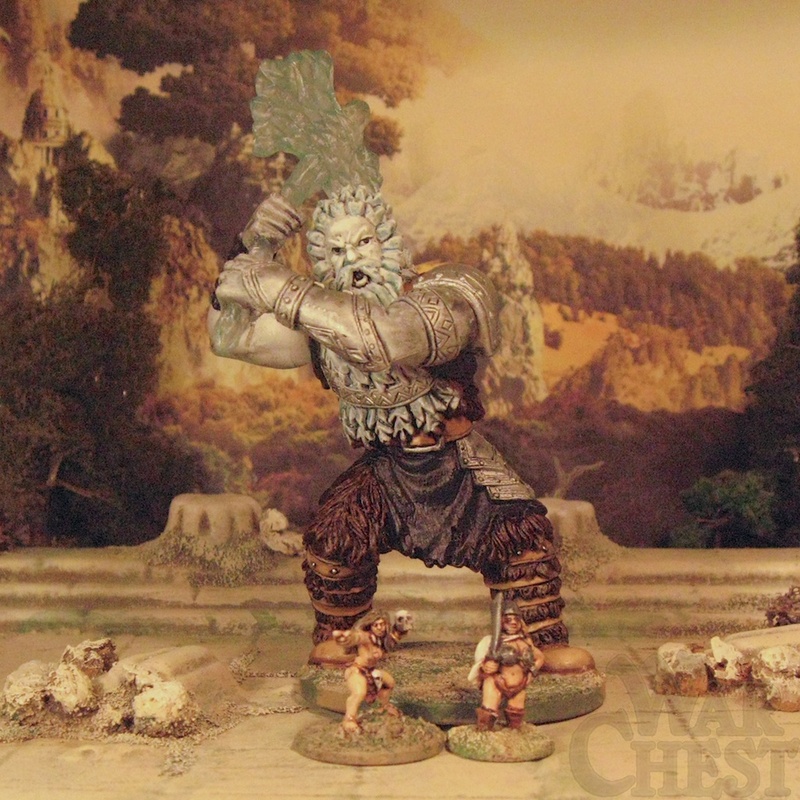 Speaking of giants, at the other end of the scale spectrum I thought I could use an old Frost Giant (pre-painted D&D plastic miniature which I’ve touched up a little) as a behemoth type unit for my growing 15mm Barbarian Army/Horde. 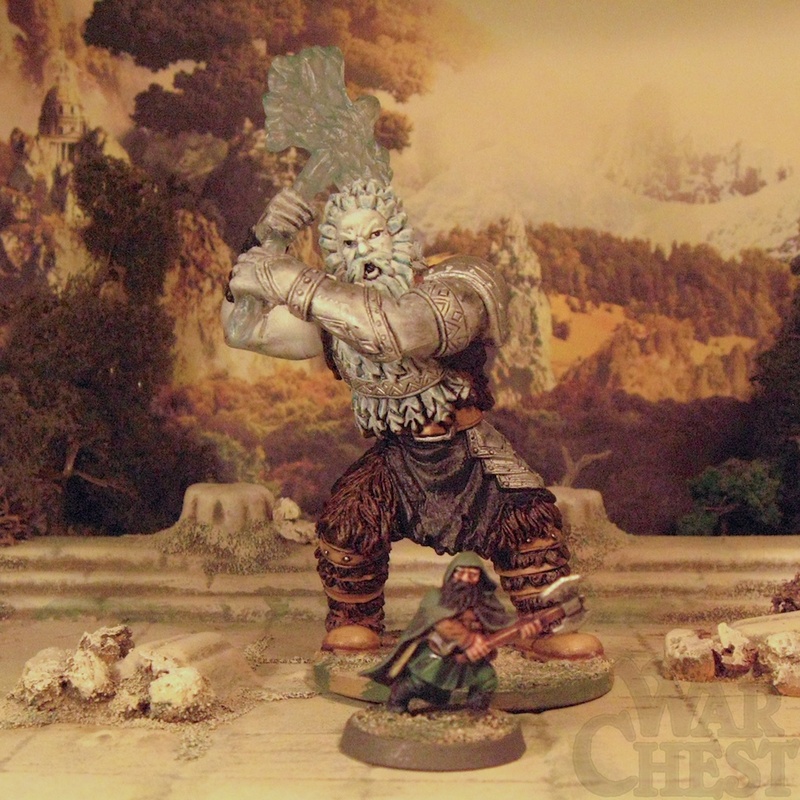 Here he is next to the 25mm LOTR dwarf. So a big giant to start with I think we can agree. 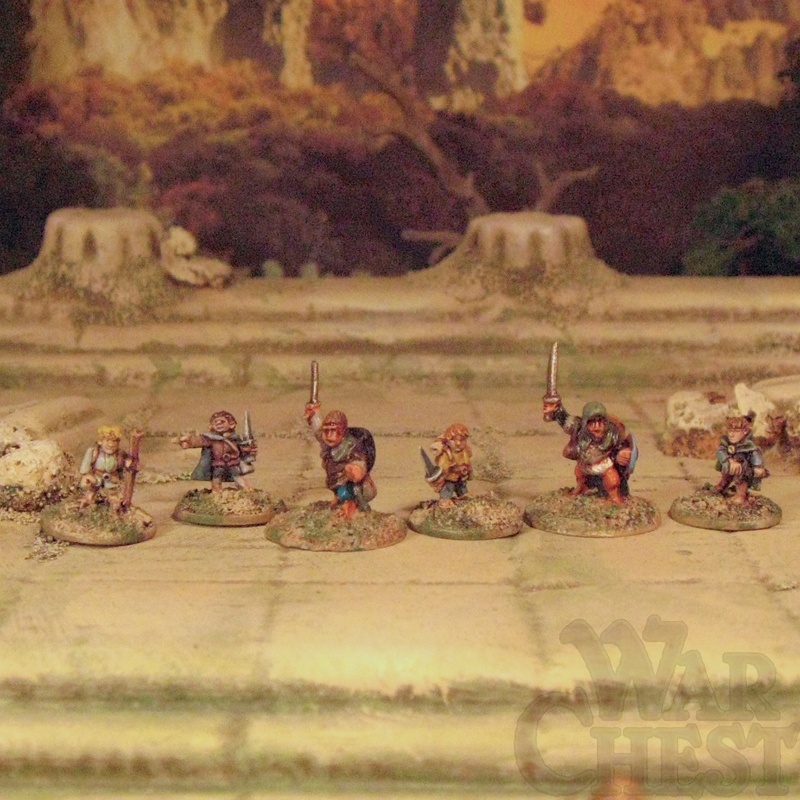 And now next to a couple of 15mm barbarians. Anyone watching Game of Thrones should be cool with this scale ratio. Anyway, a little foray in to playing with scales. Hopefully highlighting another strength of the 15mm scale (you can go up and you can go down).